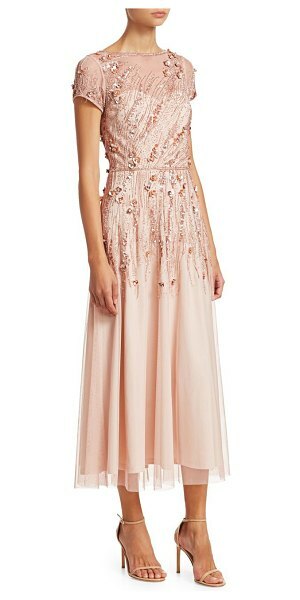 Beaded floral embellishment adorns this delicate tulle cocktail dress. Bateauneck Short sleeves Concealed back zip Banded waist Sequin detail V-back Lined Polyester Dry clean Imported SIZE & FIT About 52.5" from shoulder to hem Model shown is 5'10" (177cm) wearing US size 4. 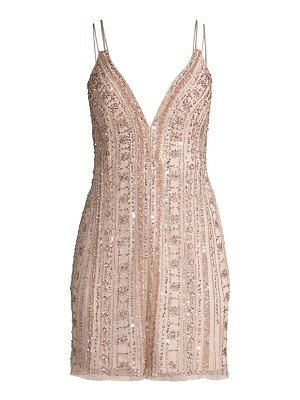 Dress Collectio - Theia. Theia. Color: Bisque. Size: 8.